The first step in our order process is order creation. 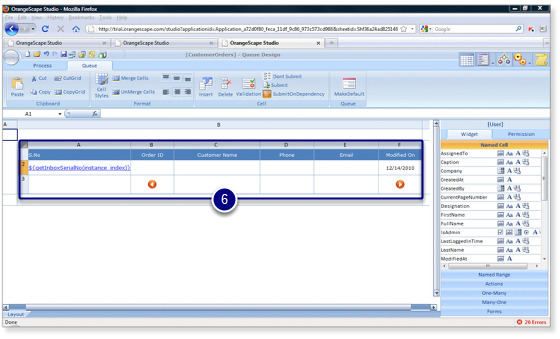 Orders are created by call center sales representatives using the "CreateOrder" form. The newly created orders are marked as open orders. Rename this workflow activity as "Draft" by updating the value in the Namebox. Only the call center sales representatives team must be able to create product orders. Add the call center sales team mail id "sales@teeq.com" in the formula bar. 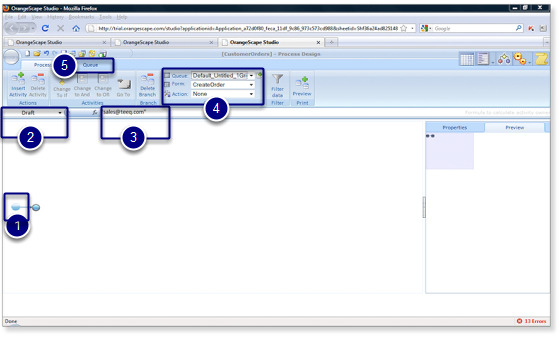 Select the queue and form that must be used for accessing the order instances in the "Draft" workflow activity.